Nerve is a razor-sharp examination of the seductive power of social media. 13 August 2016 by Daniel Dercksen·Comments Off on Nerve is a razor-sharp examination of the seductive power of social media. Nerve is also a cautionary tale about the internet’s potential to cause harm, especially for young people. Shy, straight-arrow high-school senior Venus “Vee” Delmonico (Emma Roberts) breaks out of her comfort zone when she impulsively signs up for Nerve, an adrenaline-fueled competition that streams live over the internet. Young thrill-seekers challenge each other to a series of dares that rapidly escalate from mildly embarrassing to downright deadly, as an anonymous community of “watchers” instigates the action. When Vee is partnered with a mysterious stranger named Ian (Dave Franco), their instant chemistry makes them online stars and fan favorites. As the night wears on, though, Vee alienates her longtime friends and puts her life on the line in pursuit of money and celebrity. Making a discovery about Ian’s past, Vee finds her family’s future at risk. As the tension mounts, the stakes rise—and the possible outcome shifts from win or lose to life or death. 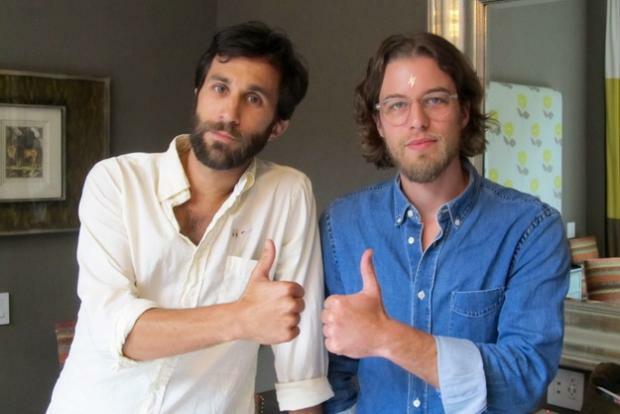 Henry Joost & Ariel Schulman (Directors) have been filmmaking partners since 2006 and founded the New York City-based production company Supermarché. Their first feature documentary, Catfish, premiered at the Sundance film festival, where it received critical acclaim and went on to a nationwide release in 2010. Their next feature, Paranormal Activity 3 (2011), opened to rave reviews and the biggest opening weekend of all time within the horror genre. They are also executive producers on “Catfish: The TV Show” for MTV, now in its fifth season, and the Sundance 2016 hit White Girl. The duo have directed a number of successful commercials and short films including “Dear Sophie” (TIME magazine’s Best Commercial of the Year) and “A Brief History of John Baldessari,” narrated by Tom Waits, which has screened at more than 56 film festivals worldwide. They have also made a number of short films for Vogue magazine including Australian Psycho, starring Margot Robbie, and Cover Girl, starring Lena Dunham. Nerve is directed by Henry Joost & Ariel Schulman (Catfish, Paranormal Activity 3) from a screenplay by Jessica Sharzer (American Horror Story, Turn the Beat Around). Based on the popular young-adult novel by Jeanne Ryan, Nerve is both an edge-of-your-seat thriller and a razor-sharp examination of the seductive power of social media. Are you a watcher or a player? That’s your choice in the game of Nerve, in which thrill-seeking players accept increasingly risky dares from anonymous watchers to win valuable rewards. As small-time pranks ramp up into dangerous, sometimes acts, fans watch the action captured live on smartphones. The directing team of Henry Joost & Ariel Schulman, best known for their work on Catfish and the Paranormal Activity series, have created an action-packed urban adventure that also offers keen insights into online behavior. In Nerve, when Staten Island high-school senior Vee Delmonico (played by Emma Roberts) is challenged by her best friend to take part in the game, it launches a series of life-changing events. 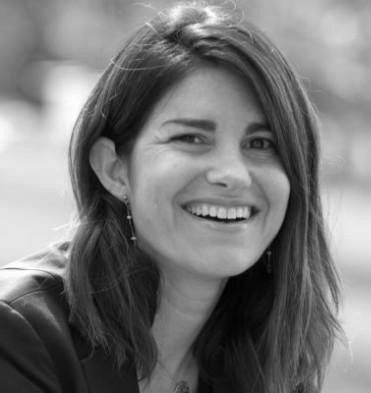 Jessica Sharzer (Screenwriter) made her feature writing and directing debut with Speak, starring Kristen Stewart. The film premiered at Sundance and was nominated for a Writers Guild Award and a Directors Guild Award. She has since developed feature films for Universal, HBO Films, MTV and Endgame Entertainment. Sharzer is currently adapting The Young Elites by bestselling YA author Marie Lu for producer Wyck Godfrey and 20th Century Fox. On television, Sharzer spent four seasons as a writer and producer on the acclaimed FX series “American Horror Story.” She also wrote the three-hour musical “Dirty Dancing” for ABC and has developed drama pilots for CBS, Fox, MTV and ABC. She is currently on an overall deal with 20th Century Fox developing the drama pilots “Dress to Kill,” with Imagine Entertainment, and “Day of the Dead,” with Cirque du Soleil. Sharzer holds a master’s degree from UC Berkeley in Russian literature and an M.F.A. in film and television from NYU’s Tisch School of the Arts. For all its onscreen thrills and excitement, Nerve is also a cautionary tale about the internet’s potential to cause harm, especially for young people. If the game really existed, the filmmakers believe it would become instantly popular, despite the risks—or perhaps because of them.